For Aspiring Teachers . . .
As we said in our June 6, 2012 post, The Scholastic.com website is a treasure trove of resources for parents, teachers and students. Storia®, the FREE eReading app specifically designed to support kids’ reading, also helps parents monitor kids’ reading progress. Storia, which comes with FIVE FREE eBooks, offers access to a wide variety of age-appropriate titles for children from toddler to teen. The selections are carefully curated to offer a range of children’s digital picture, chapter and interactive eBooks on a variety of topics and reading levels that are presented in a way that is true to the original print versions. A selection of Storia eBooks are enriched with fun, educational activities including vocabulary games, comprehension activities and fun video content as a reward when kids finish the book.On Storia, parents can set up individual bookshelves for each of their children, purchase new eBooks, and track a child’s reading progress through each book. Parents can find out which words the child learned, how many pages they read, and how long their child spent reading each day. The Teacher Site on Scholastic.com serves as the content and e-Commerce hub for everything a teacher needs most for use in the classroom. More than 1.6 million visitors to Scholastic.com each week access over 100,000 pages of free content and teaching resources as well as the Book Wizard® search tool that helps teachers find just-right books for their students. They can also purchase books and classroom materials through Scholastic Book Clubs and the Scholastic Teacher Store online™. Proud to be a PTPA Award Winner! and under-utilized attributes of success for anyone working toward a common goal. ability to make communication one of your core strengths. see productive conflict as a strategic balancing act. strategies whether you are competing on the corporate ladder or the athletic field. Tools of Learning for Children began as an organization wanting to help all young children learn phonics in a pre-school setting. Initially we focused on dyslexia but found that the introduction of learning programs can be very effective for all children. From our inception (2001), we functioned as an arm of the Solano Community Foundation. In our 6th year, when the federal law prevented us from continuing our relationship with the Foundation, we became a 501c3 Corporation. We have provided materials to preschools and have helped over 2000 children per year. Tools of Learning for Children has been a 100% volunteer effort because it is our intent to use the maximum amount of our revenues (generous donations) for the distribution of educational materials. Our Charitable Corporation Tax Identification Number is 32-0194489. Labels like Dyslexia, a Learning Disability or ADHD can be helpful but they often miss one key point about most smart struggling students — they learn differently. Does your child learn best when they see and experience information? Does your child have the potential to do much better? If this describes your child, there is a good chance they are a right-brained learner. Go to http://www.3dlearner.com to find out more. Sunland is an accredited private school offering homeschool (Kindergarten – 12th) to families throughout the United States. Sunland offers a variety of approaches; textbooks, workbooks, online courses, college classes or a combination. Sunland was involved in the California Court of Appeal ruling (2008), declaring homeschooling as legal in California for the first time! Children learn as easily as they breathe. They touch, they listen, they taste, they see, they ask questions. They are always learning. If this is true, how can it be that a child could have a learning problem, achieve low grades or fall behind in his studies? Each Access for Knowledge Learning Center offers the combination of a proven regime of prescriptive learning and Access tools for improving self-esteem and promoting a health, joyous self-image. When the joys gets back into learning, students begin to succeed. At Cherokee Creek Boys School, our mission is to challenge boys and their families to discover what is real and true about themselves and the world around them. Cherokee Creek Boys School is a licensed and accredited therapeutic boarding school for struggling middle school boys ages 11-15. Our boys face challenges with: ADHD, Depression, Anxiety, Defiant Behavior Learning Style Differences, Grief & Loss, Bullying and more. Visit www.cherokeecreek.net to learn more about our unique approach. A place of hope and possibility, where children and families play, laugh, heal, and thrive. Have the challenges of ADD, ADHD, OCD, Autism, PTSD, defiance, lying, nightmares, temper tantrums, stealing, depression, school challenges, social problems, sibling rivalry, aggression, anxiety… taken a toll on you, your child, and, your family? What if it could be easier? We are here to help you regain peace in your home. Our services include family therapy, play therapy, individual therapy, marital counseling, parenting groups, social skills groups, as well as other groups, workshops, and classes. Welcome to the Child & Family Play Therapy Center! Most doctors who evaluate children for ADHD are probably not adequately trained to do so! Mistaken for ADHD is your guide to help you take charge and be a strong advocate in making sure your child’s behavior problem is thoroughly evaluated and treated. 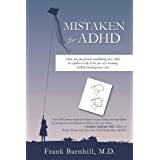 Between the covers of this book you’ll discover stories of children misdiagnosed as ADHD and how those ADHD-mimicking disorders or Zebras, as Dr, Frank refers to them, were properly diagnosed and treated. What Children Need to Learn to READ – the complete parents’ guide to ensuring literacy, a love of reading and school readiness – Birth through the Early Grades edition. Packed with age-appropriate tips, techniques, fun activities, checklists and common-sense suggestions, this one-of-a-kind book will answer your questions, boost your confidence, and prepare you for one of the most rewarding things you’ll ever do! Finalist for the Foreword’s Book of the Year Awards in the Parenting category. Imagine a parenting technique that doesn’t tell you what to do, but teaches the art of self-discovery that can be implemented with your child for their benefit. The American Camp Association is a community of camp professionals who, for 100 years, have joined together to share our knowledge and experience and to ensure the quality of camp programs. Because of our diverse 9,000 plus membership and our exceptional programs, children and adults have the opportunity to learn powerful lessons in community, character-building, skill development, and healthy living — lessons that can be learned nowhere else. High-quality teaching is the single most important factor for raising student achievement. Math Solutions Education Specialists come to you and work at your school, district or a nearby location. We can focus on content knowledge for any curriculum or program and help you prepare teachers and students for success in mathematics. Tutoring today is a $4 billion industry–yes, billion–with companies like Sylvan Learning Center and Kaplan Tutoring cashing in. What are parents of today’s overextended students to do? If only there were a resource closer to home that was easy, free, and able to provide the same quality of service. But there is: you. Top professional tutor Marina Koestler Ruben empowers you to take a do-it-yourself approach to your child’s after-school enrichment. You will learn how provide holistic academic support for your children and create an intellectual environment in the home—strengthening your relationship and improving parent-child communication in the process. Do you have a child who will be going to kindergarten this year, or in the next 5 years? Did you know that children who start school ready for kindergarten have a better chance at a positive school outcome? 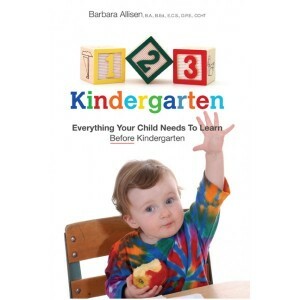 This book and website feature tips and information on kindergarten readiness. Children are 20% of the population and 100% of the future. Soul Shoppe supports school communities by providing interactive programs and tools that teach students powerful learning and life skills. In addition to working with students, we also support staff by creating and facilitating dynamic staff development trainings that give teachers the necessary tools to implement academic and personal growth. Linda Dobson, author ofThe First Year of Homeschooling Your Child, and eight other books on helping your child’s education. STIZZiL delivers premium quality, convenient and safe online enrichment programs and tutoring sessions conducted by experienced, state-licensed educators through a unique online experience which combines web, video, and audio technologies. We know that you want to work with an online education company that is reputable, experienced, premium quality, effective, approachable, enjoyable and safe. Take a look at the videos below from STIZZiL founder Elaine Sigal, STIZZiL educators, and customers to see how we deliver what’s important to you. 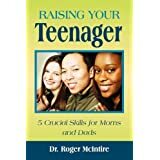 Raising Your Teenager provides the solid, proven methods that actually work to help parents and teens develop the kind of healthy relationship that lasts a lifetime.